In the past I’ve written about how I use the online file storage, backup and syncing tool called Dropbox. Because I depend on this tool so much I use the Team Version and pay an annual fee that is pretty steep, but the no hassle factor is worth it. Recently, I’ve started adding even more to my Dropbox use with the following addons that help extend its usefulness. AirDropper – This tool allows you to create a custom file sharing page with your own branding. Then if you need to send a file to someone or they need to send a file to you, you can give them a unique URL to use and all files are transferred to and from your Dropbox account. 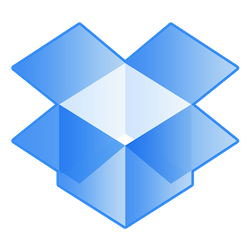 DropPages – This tool allows you to use Dropbox as a lightweight Content Management System. Using little more than text files saved to DropPages you can create, edit and manage an entire website and even use your own domain to do it. HelloFax – I don’t actually use the fax part of this, but I use it almost daily to edit, sign and email documents like contracts without the need to print, sign and scan. By connecting it to Dropbox the documents I email all get a backed up in a HelloFax folder. SideCloudLoad – This tool allows you to send any file on the web directly to a Dropbox folder without downloading it to your computer first. The thing I like about this is you can find an ebook you want to read while surfing on your phone and just have it sent to Dropbox rather than you phone. MailDrop – MailDrop allows you to create a special folder in your email program (label in GMail) and then automatically save email attachments to Dropbox. This can be a great storage, backup and collaboration tool for documents that come to you from other people. As our dependence on apps continues to grow you can expect app makers to look for ways to further enhance the productivity tools that we come to rely on in increasingly personal and mobile ways.